Government of Akwa Ibom state needs to stop this ugly trend going on in the state. According to reports, Thousands of stigmatized 'Witch Children' have found refuge at CRARN center, in Akwa Ibom. The children were branded as "witches" by church ministers and have been cast out by their families and shunned by society. One of them is six-year-old Israel Effiong, from Ikot Uso Ekong, Eket, who was accused of being responsible for his father's illness. 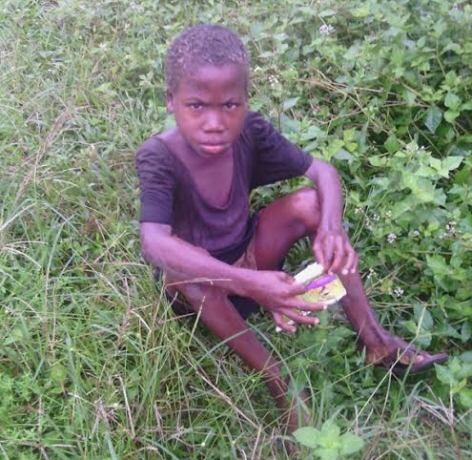 Fearing for his life, he ran away and hid in a bush for a year before he was rescued by Edoho,a volunteer with the organisation. Edoho, also is from the CRARN Children Center. He now serves as one of the volunteers who rescue children to the centre. "When my father became ill and taken to a hospital, my stepmom asked if I knew anything about his illness. I told her that I could not think of anything bad about my father because he's the one supporting me," Effiong recounts. "When his illness took a turn for the worst, my stepmom became angry with me. In the nights, she'll wake me up, tie my hands and legs then poured wild ants all over my body while asking me to relieve my dad from the witches coven. At times she would tie my hand and legs, began to hit my heads with sticks and electrical wires. She stopped giving me food and locked me out of the house. I went and told the neighbors living close to us. She said she could not allow me to stay with her because my stepmother will be angry with her. "One day, I was tired and slept off in the market, a boy by name Edoho came and saw me there and told me he would come back and take me to a safe place where other children like me are living. I told him where I normally stay in the bush. Yesterday, he came and took me the CRARN Children Center, Eket. I'm very glad to stay here because I would go to school again and sleep without fear of the unknown." 0 Comment to "6yr old Effiong avoid witch killers in Akwa Ibom state, live in the bush for a year "